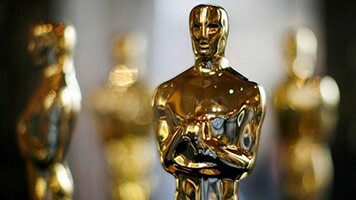 At the time of this writing, another Oscar ceremony has been telecast. While the ratings appear to be breaking records, its not a record anyone wanted to break. The 2018 Oscars are poised to have the lowest ratings in the show’s history. Why? The simple answer is that the show has two very different audiences: the audience in the auditorium and the audience on television and those audiences have less and less in common. The Oscars are very clearly focused on their audience in the auditorium. The awards ceremony was created to serve the needy people desperate for recognition. The audience is restless to hear their names and to pontificate on issues they know nothing about in an effort to prove they can do more than read from a script (although this was not part of early telecasts). It wasn’t until years after the creation of the ceremony that it was televised. At the time, the new medium of television brought glamorous lives into living rooms across the country, eager to see a part of life they didn’t have access to before. The problem is the second audience changed, and the telecast didn’t. As television and then social media grew, the audience was inundated with award shows and celebrities spouting off on every issue. What was a once a year event became commonplace. With dozens of award shows now being telecast, the Oscars don’t stand out. On top of that, in an age where millions of people are dropping cable for internet-based streaming services, Oscar’s partner ABC has the smallest presence in internet television. Most of those people who cut the cord can’t see the show even if they want to. Additionally, while the audience in the auditorium is largely homogenous on issues, the audience at home clearly isn’t. The pontificating has chased off almost half of their audience. The takeaway here is that you have to adapt to your audience. When others enter your market, you must strive to set yourself apart. When you make changes to your product or service, they can’t be changes that segment and alienate large portions of your audience. Snapchat just learned this the hard way as they redesigned their app to almost universal disappointment among their customers. Pay attention to how your customer’s needs change and change with them.